I visualize the color green, and use its uplifting color energy to elevate my mood and make me feel invigorated. I appreciate green plants that burst forth with new buds, leaves, and blooms. Green helps me think of an analogy, one in which I acknowledge my process, recognize signs of growth, and focus on ways I shine my light. 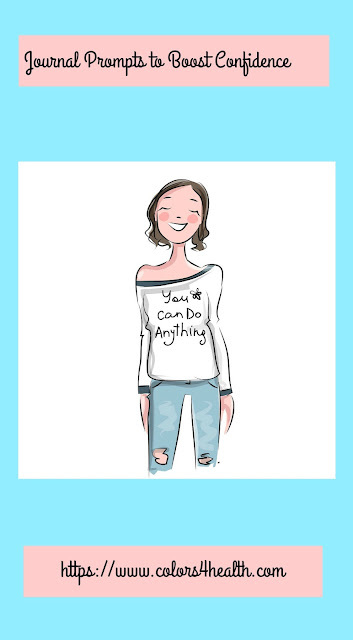 Greening my thinking is an effective way to draw attention to positive energy, rather than look at things that are at loose ends. 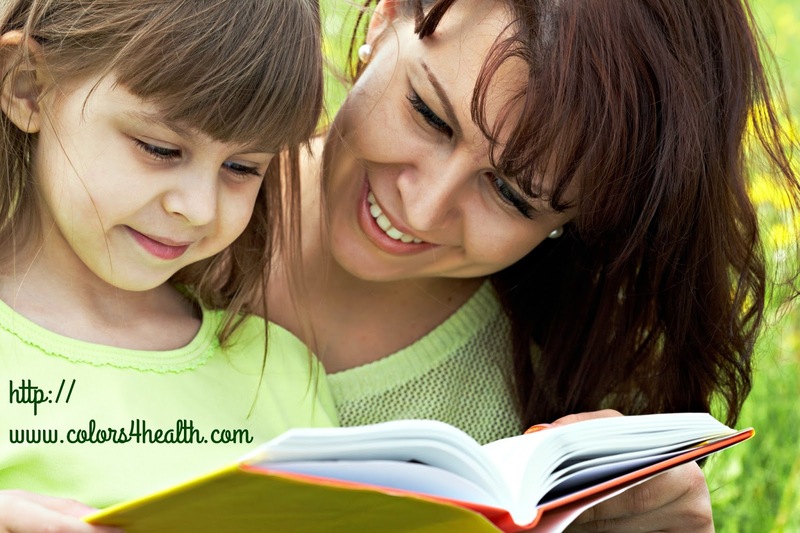 Want tips to help you use green for healing and health? It can be as simple as envisioning your favorite shade of green or appreciating a green scene from nature. Let green help reduce stress, refresh your outlook, and give you motivation to participate in life with more vigor and enthusiasm. 1. EAT GREENS. 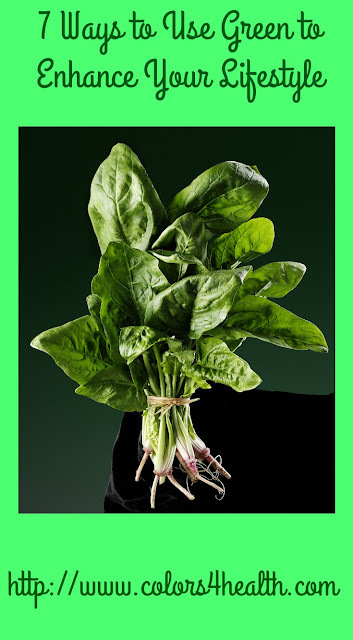 Dark, leafy greens including chard, kale, collard greens, and spinach are packed with mood-boosting magnesium. Magnesium is a mineral our bodies need to create a feeling of calm. This mineral plays an important role in the development of serotonin. Mix it up and add kale, chard, collards, or spinach to your daily meal planning for less stress and to prevent depression. 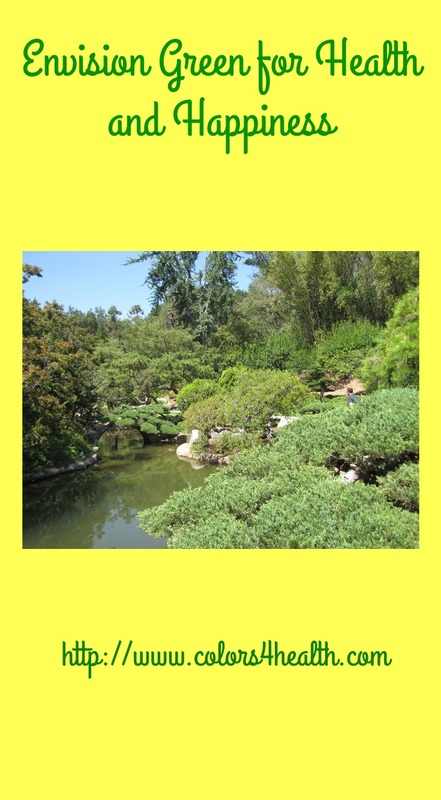 “I absorb the harmonizing, relaxing elements innate in green plants and vegetation to travel to places in my body craving relaxation and comfort." "I breathe in refreshing green colors and breathe out stress. I breathe in seeds for change and breathe out outmoded behavior." I breathe in joy and release dis-ease. I breathe in love and release fear. Then, say aloud... "Green energies are always there for me. I enjoy using green in my daily living. Whenever I envision green, it helps me breathe deeply and I am blessed." Slowly come fully back into yourself and know that green will help you grow and thrive. Note: Another way to use green as a stress reduction tool is to picture a liquid or gas form of green flowing up from the earth. Imagine green in a hue you like, traveling up through your feet, legs, and torso. Picture your veins filled with green energy, soothing places in your body that are sore, tight, or need attention. Envision green carrying oxygen to spots in your body that feel shut down, blocked, or stagnant. Thank green energy for helping you and be quiet for a few minutes. When you are ready, slowly come fully back into yourself. Know that you have done your part to let green help you feel and look great. 3. SEE EMERALD. Emeralds are the birthstone of May, and associated with the rich green color of spring. This rare gemstone has a vivid tone, one considered to be a symbol of rebirth and love. Emeralds are mined in Colombia, Brazil, Afghanistan and Zambia. Once they are cut and polished, emeralds are set into necklaces, earrings, and rings. Wear Emerald jewelry, or imagine its vivid green color and beauty. Hold an Emerald crystal in your hand or envision one. Let green energy from emerald crystals boost your sense of well-being. Emeralds have been worn boldly by Elizabeth Taylor and Julianne Moore. Do you recall other movie stars or celebrities that wear Emeralds? 4. CONNECT TO HEART CHAKRA. Green is the color of the Heart Chakra, and it attracts compassion and love. 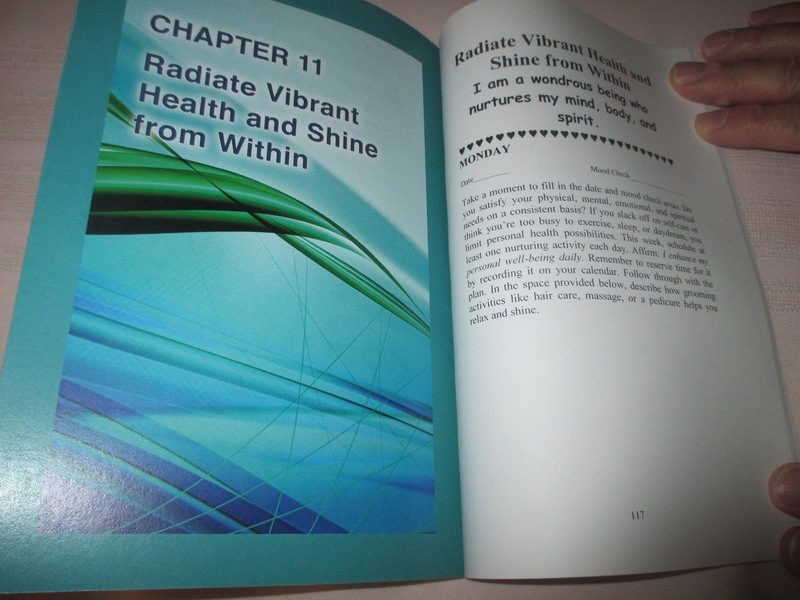 Learn more by reading What Everyone Needs to Know About the Heart Chakra. 5. LIVE WITH GREEN. See how quickly your mood improves, when you increase the amount of green household items including towels, dishes, or green plants in your abode. Green paint or accent pieces help establish or maintain a pathway for renewal, expansion, and flexibility. The power of green provides motivation to take good self-care. 6. ENLIVEN SENSES. Awaken your senses by soaking in the tub, scented with pure essential eucalyptus oil. This tree sourced oil soothes tense muscles and clears your mind. Many spas and healing centers use green in their decorating schemes. Any time you use it, it’s a sensory way to express your improved sense of well-being. 7. SOOTHE EYES. Green is easy on the eyes. It’s a good color to choose as a screen saver, because it relaxes the nervous system, and reduces stress. Place an emerald green object in eye-range while you work, and feel its power to rejuvenate you. Darker shades of green represent prestige, wealth, and money. Lighter greens can makes you feel refreshed. A word of caution: too much green represents jealousy, envy, greed, and revenge. Now that I've shown you 7 ways green can enhance your lifestyle, here's a special request. 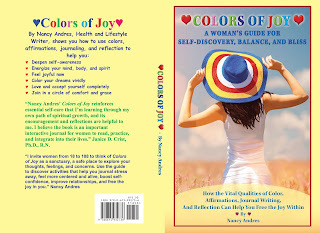 Consider ordering the self-care journal, Colors of Joy: A Woman's Guide for Self-Discovery, Balance, and Bliss. 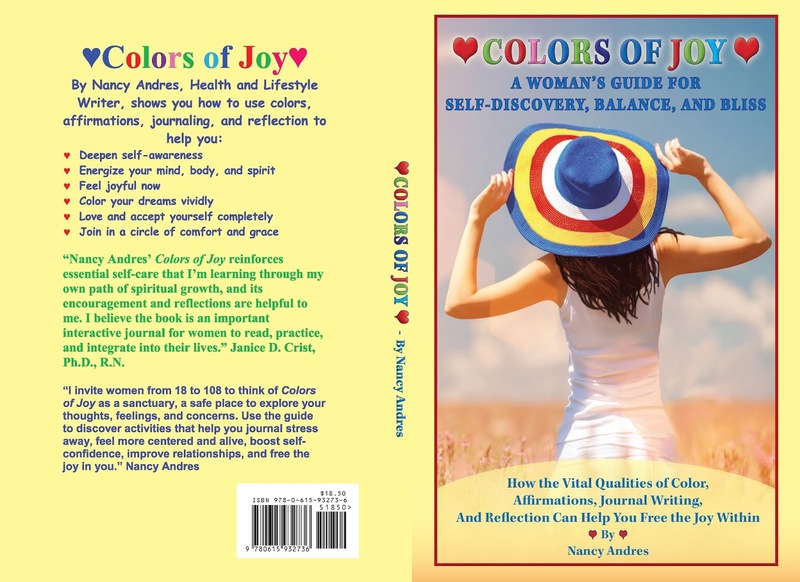 Colors of Joy is a 12 week guided journal program that can help you or the women you care about explore relationships, nourish secret longings, and use color energy to live more joyfully. Proceeds from book sales cover some of the expenses of running my blog. Before you go, please comment below. How do you use green in daily living? What leafy green veggies do you like to eat? How often do you eat them? Do you use green decor, clothing, and accessories to enhance your lifestyle? Please explain. If you like what you see, please share on social media. Thanks for the visit and please come back again.